Hay algunos de nosotros trabajando en Barcelona para preparar un espacio para la conexión de hoy con la conferencia de Cochabamba. Tendremos comentarios de Copenhague y una asamblea local de los pueblos clase hoy. Estaremos en la Universidad Libre de larimaia (en catalán de la grieta en el hielo .. su direcion – C/Gran Via 550, circa metro rojo – URGELL) hoy desde las 7pm hasta 1 a.m. (hora local de BCN). Luego a la 1 am nos dirigiremos a un segundo espacio, La otra carboneria, 5 minutos a pie, es un centro social en el barrio de Sant Antoni que están involucrados en el huerto comunitario en el Raval, entre mucho otros temas de la comunidad local. 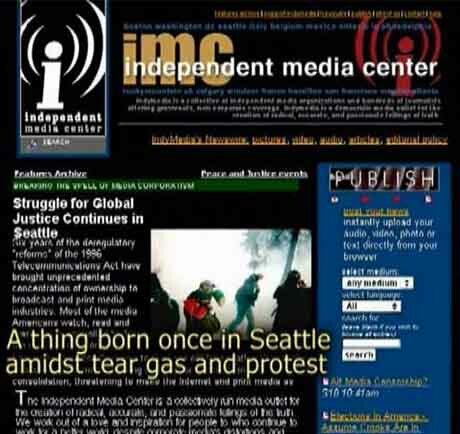 En ese momento vamos a empezar a participar en el proyecto de tipo Web en línea de conferencias, la hemispheric convergence con otros nodos locales similares alrededor del mundo. 2 – crear asambleas locales para discutir a nivel mundial y locales, los problemas, estrategias, etc ..
Ver al final del post para más detalles técnicos o de vistas al exterior original de la convocatoria de Alfredo Lopez alfredo at mayfirst.org here: Join us at Cochabamba/USA event April 20! La idea de que más personas, grupos y redes que participan juntos en un punto singular en el tiempo en su área local, es tal vez un mecanismo vital / espacio / sistema que nosotros, los movimientos sociales, no han utilizado todo su potencial. Si lo empuje, que realmente puede sentir que WE ARE WINNING, estamos ganando. En diciembre pasado las cosas en el frío de Copenhague pasó mucho. Dado que, la mayoría de las personas sólo piensan en el desastre de la COP 15 oficiales, pero para más de nosotros que estuvimos allí en la calle, cosas mágicas paso que nos han llenado de esperanza y en la que estamos construyendo. 100.000 marcharon en Copenhague, el sábado exigentes CAMBIO DEL SISTEMA NO CAMBIO CLIMÁTICO. Esta Asamblea de Pueblos en Cochabamba no es más que el segundo paso! See end of post for technical details or view original call out from Alfredo Lopez alfredo at mayfirst.org: Join us at Cochabamba/USA event April 20! The idea of more people / groups / networks participating together in a singular point in time in their local area, is perhaps a vital mechanism / space / system that we, social movements, have not utilized to its full potential. If we push it, we might really feel that WE ARE WINNING. Last December in cold Copenhagen much things happened. Since, most people only think about the disaster of the official COP15, but for more of us who were there on the streets, magical things happened that have filled us with hope and on which we are building. 100,000 marched in Copenhagen on the Saturday demanding SYSTEM CHANGE NOT CLIMATE CHANGE. This PEOPLES ASSEMBLY in Cochabamba is but the second step! Climate Camp UK is sending a few people to Bolivia. They will be using Twitter to link to news, reports, info, multimedia uploads and blogs before, during and after the conference: http://twitter.com/WPCCC. Also, you can follow what’s going & feedback to climate camp people in Bolivia here: ning, blog and facebook. Meanwhile, outside the summit, Danish police are intensifying their crackdown on climate justice activists. Late last night riot police raided Copenhagens autonomous community of Christiania as it played host to a party organized by protest groups. Witnesses say police fired tear gas directly at the party as attendees were dancing and gathering inside. Some protesters were said to have thrown bottles at police and set fire to barricades. More than 200 people were reportedly arrested. The Christiania raid comes ahead of a massive act of civil disobedience planned for Wednesday. Organizers of the Reclaim Power action say theyll disrupt the summit and hold a peoples assembly giving voice to those calling for climate justice. For many of us coming back from Copenhagen full of hope and energy, it was strange to see that many people who followed the summit from afar see what happened there as catastrophic.. But it has been clear for some time that « at best » they were only going to impose their false (but highlyl profitable) solutions. Clear headed political analysts, like leading scientists such as James Hansen, were already saying that No Deal would be better than a Bad Deal. Finally the deal was so bad that it was impossible to impose (the so-called Copenhagen Accord was not agreed by all parties). 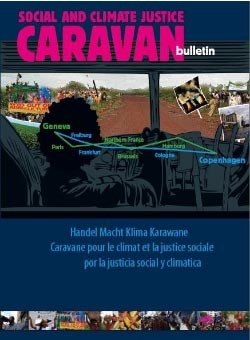 Related Audio file: After many battles in Copenhagen, where does the climate justice movement go from here. Pour nous, qui sont revenus de Copenhagen pleins d’espoir et d’énergie, c’était étrange de se rendre compte que beaucoup de ceux et celles qui ont suivi l’affaire de loin l’on vécu comme une catastrophe. Pourtant, c’était évident depuis un moment qu’il y aurait « au mieux » un accord sur de fausses (quoique très profitables) solutions. Les analystes critiques, comme des savants de pointe comme James Hansen, disaient déjà que No Deal serait mieux que leur Bad Deal. Finalement le deal proposé était si mauvais qu’il était impossible de l’imposer (le soi-disant Accord de Copenhague n’a pas été accepté par toutes les parties).